Why study International Relations with us? The central purpose of studying international relations is to gain a deeper understanding of the rapidly changing world in which we live. In the current era of political and economic turmoil, studying international relations responds to the enormous need for greater understanding of the underlying causes and consequences of violence, revolutions, migration, radicalisation, poverty, climate change, economic turmoil and much more besides. Whatever ambitions you have, the tools and knowledge you will gain from a degree in IR are increasingly valuable assets. Our research-led teaching employs a wide range of innovative methods. You will debate the current challenges facing democracy, freedom, and security with academics who are at the forefront of their subjects. To learn more about the world-class research we do see our staff profiles and our international security, political economy and foreign policy research page. 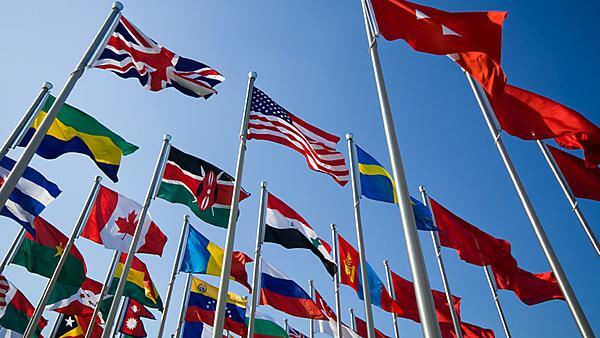 Our lecturers will take you beyond the daily headlines and help you discover the international systems, ideas, and organisations that shape the political world. You will benefit from a course which received excellent ratings for teaching and student satisfaction. In the 2017 NSS student survey, 100% of respondents strongly agreed with the question: 'Are staff good at explaining things?' We are proud that 92% of responses to questions about ‘the teaching on my course’ were favourable or very favourable in the NSS survey. We will train you in the theories, concepts, and methods needed to understand contemporary international relations. Your teaching will include field trips, one-on-one tutorials, group simulations, research seminars, and workshops that develop practical skills like research methods and essay writing. Our Plymouth International Studies Centre Seminar Series will give you the opportunity to engage with external scholars focusing on topical aspects of contemporary global politics. With options to work or study abroad in Europe, Canada or the USA through our exchange programme and fieldtrips to the Middle East and Africa, you can experience different political cultures and develop language skills. Join the Politics and International Affairs Society and you’ll benefit from unique film screenings, guest speakers and social events. Our programmes are geared towards the goal of enhancing your employability. We have embedded employability targets into all of our modules. Our Practical Politics Series brings speakers, all politically active, who will relate their personal experience and share practical knowledge and insights of real world politics. They will help you understand what it really takes to build careers in the professions that are the destinations of many of our students: local or national government, journalism, international governmental organisations, think tanks, nongovernmental organisations, and the world of business. You can gain practical insights into the workings of organisations whose role and function have clear relevance to the subject and get academic credit at the same time by taking the work based learning module in international relations. Our focus is on providing you with a wide range of professional skills relevant to your chosen career– critical thinking and problem-solving, political analysis, data collection and interpretation, policy making, and public speaking. We will help you find the internships that will set you on your chosen career path. Unlike many institutions, we will also provide financial support to help you take advantage of these opportunities. Read about our unique politics and international relations internship programme.